This fantastic 20 plus acre property presents an amazing lifestyle and investment opportunity! Situated on the Cairns side of Mareeba the opportunities here are too good to miss. 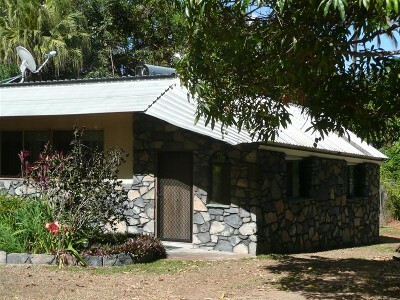 Let's start with the Spacious Four bedroom home, currently tenented and returning $285.00 per week. Add the two bedroom stone cottage PLUS the two bedroom house at the rear, and a tenanted caravan- that adds up to substantial income. Now, how about the income from the mangoes? Or the black sapote, which is sold to the local winery, the citrus sold at the markets and the possibilty of cashing in on the fruit from all of the other exotic trees established on the property. Dragonfruit, avacadoes, too many to mention all! Water is in abundance, a dam and bore plus the option of a repairian licence if needed. This property demands an inspection- so much on offer. I'd really like to show you around, and help you increase your wealth through property. Call me, Debbie, 0409 321 920 or 40922 111 to arrange an inspection, or if you require some more information. "The sustainability declaration for this property is available from the Office upon request"